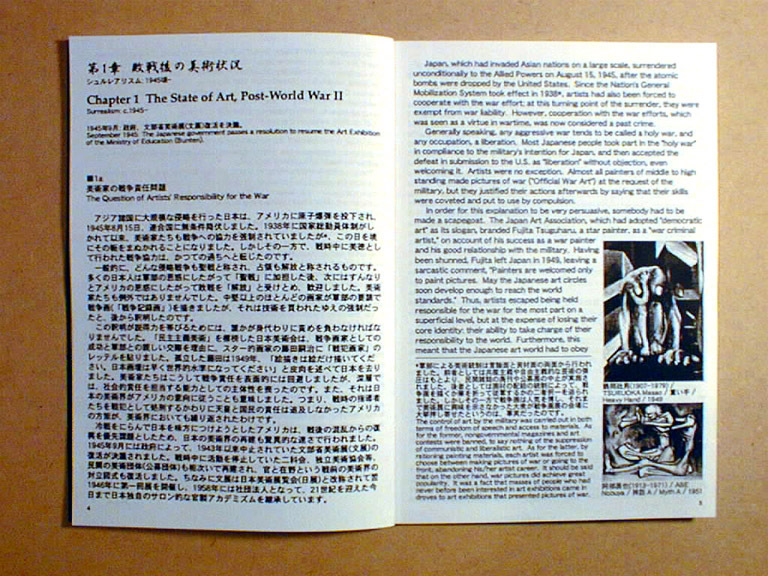 4' 1/8" by 5' 7/8", 44 pages 4' 15/16" by 7' 5/8", 295 pages 4' 1/8" by 5' 7/8"
Modern and contemporary art history mainly in the West, from Impressionism to Simulationism, and Japanese illustration stream a.k.a. Heta-Uma (Bad-Good). Lives of 60 Western painters from Giott (Renaissance) to Warhol (Contemporary). 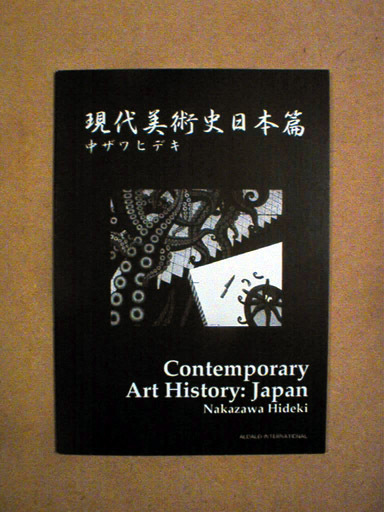 Japanese contemporary art history from after World War II to the 2000s. Ch.3 Picasso's "Guernica" and Matisse's "Flowers of Nasturtium and 'The Dance'"
Ch.5 "Dada" means "There, there." Ch.13 100% Simulation: Jeff Koons' "Art?" A book proclaiming and practicing that history should be interpreted subjectively and actively from an individual viewpoint. / Post-modernism was interpreted as modernism, and the whole modern and contemporary art history was described as "history of modernism that repeats death." (The word "modern" in the book title derived from denying the view of history that the contemporary period began surmounting the modern period.) 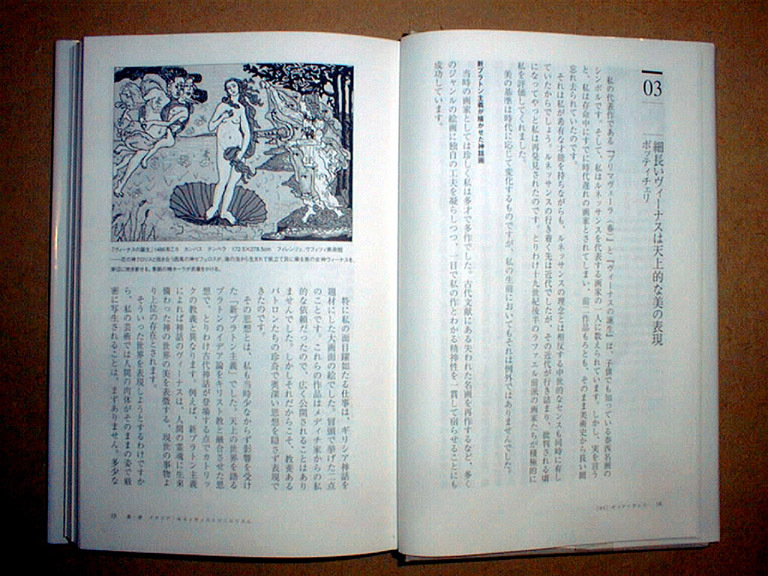 / Having thought that subculture was more persuasive than art in the 1980s in Japan, Japanese illustration history at that time was laid just after the Western modern and contemporary art history. (The author, being involved in it, changed his surname from artist to illustrator after the publication of this book.) / The author intended rather a "simulacrum of art history book," than an art history book. However, such hyper-real phenomenon followed after the publication that it was read broadly as an intelligible art history book. (The 12th impression as of 2004; aggregates 12,000 copies.) / By "handwriting" and "hand-drawing," this book itself was the work of "heta-uma" (bad-good), as a technique with malicious intent of making authority being relative. (The saying given at the beginning, "art history started from impressionism," was the notice for that this book itself would be an existence as of "heta-uma.") Proclaiming "art history is theory." That is, art history was described based on "historizismus" that regards history as manifestation of universal law, not by seeing each phenomenon separately. (Expanding interpretation for "kunstwollen" in aesthetics.) / The first theory was to interpret painting history as incessant confrontation between coloriste and dessinateur. (The author reinterpreted this confrontation, which also existed in the digital world, by calculating back to the past analogue world from his experience of being a CG illustrator in the early 1990s and of having developed a 3DCG software and obtained patents for it.) / The second theory was to regard art history after the end of the medieval period as "history of losing meanings," which resulted in tautology, synchronizing with politics history regarded as "history of losing authority." / Using first-person style as a trigger, the author's own unique views were inserted everywhere. 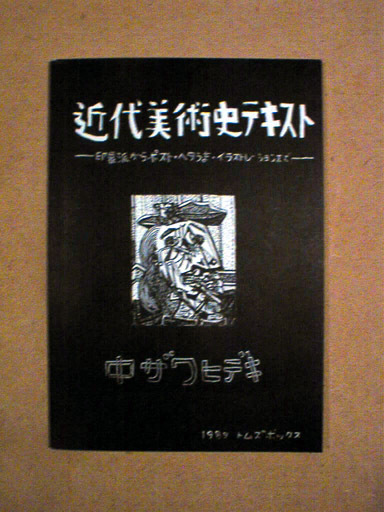 / The other purpose hidden in this book was to explain the art works by the author as an artist through this book. It meant that the words spoken by each painter through the author by first-person style was also the self-explanation for the author's art works, which he made each painter tell. (The author changed his surname to artist in 1997 and showed his works based on color theory. He has been aiming at reauthorization of tautology, advocating "methodicism" since 2000.) / Hand-drawing CG plates were connected with the first-person style. The author is writing this book for the purpose of that he himself looks squarely at the issue of nationalism, as the one being connected with identity. In other words, he aims to place the issue derived from that a Japanese artist concerns himself subjectively with the West-originated art, through the art history of his native country after the defeat in World War II. (The author's experience of staying in the U.S. also matters.) / The issue will result in a question, "Do we need the limit named Japan in creating art?" But, conversely speaking, this question itself will manifest the exsistence of a limit named Japan. (As a side note, the author's answer to this question is "No.") / The theme is to consider whether or not one can create expression subjectively at such a place of relativity, after having recognized the U.S. as the "center," which held supremacy after World War II, and Japan as the "provinces," the place of relativity in other words. (As a side note, the author regards it as "impossible.") 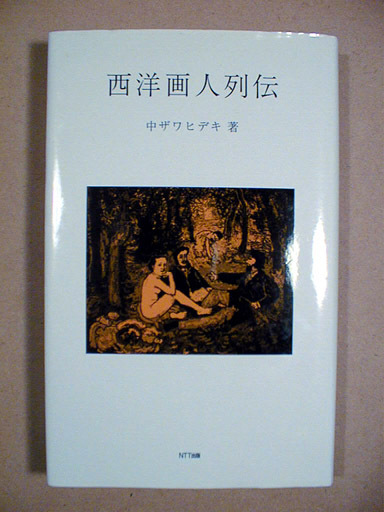 / On the other hand, the author enables to describe Japanese art history through historizismus and practices it, calculating back from the viewpoint of the place of relativity. / Writing in Japanese and English, as the best way to manifest the place of relativity, where Japan is being laid.